VMX2® Shot is an ultra-powerful pre-workout formulation, in a convenient shot format. Containing beta alanine, arginine, citrulline malate and Sustamine®, as well as vitamins B6 and B12 to help reduce tiredness and fatigue, VMX2® Shot is the ideal formula to help maximize your training. VMX2® Shot is sugar free and suitable for athletes on a low carbohydrate diet seeking only the leanest of muscle gains. 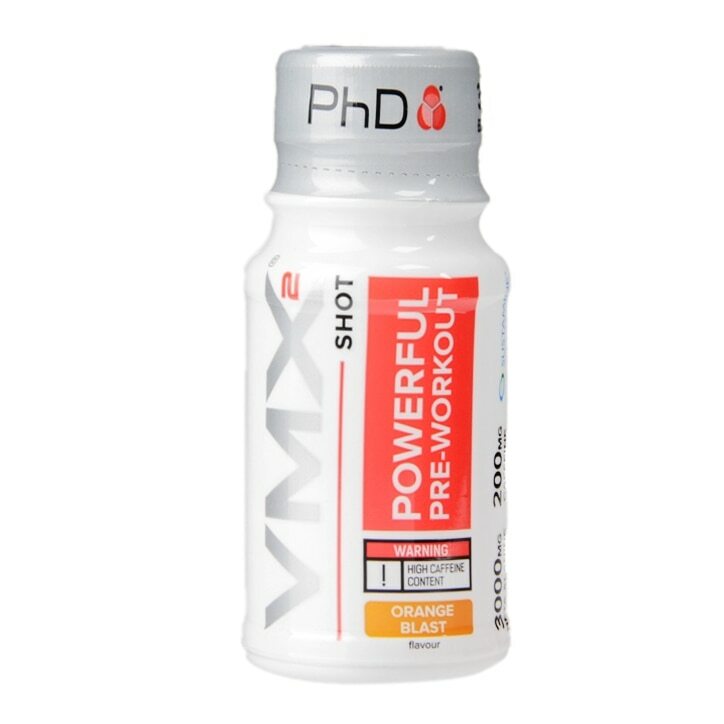 PhD VMX2 Shot Raspberry Rush is suitable for body builders lifting heavy weights for repeated working sets, power lifters seeking an increase in explosive strength and any athlete looking to improve performance during exercise. recommended daily intake. High caffeine content. Not recommended for children or pregnant or breastfeeding women.